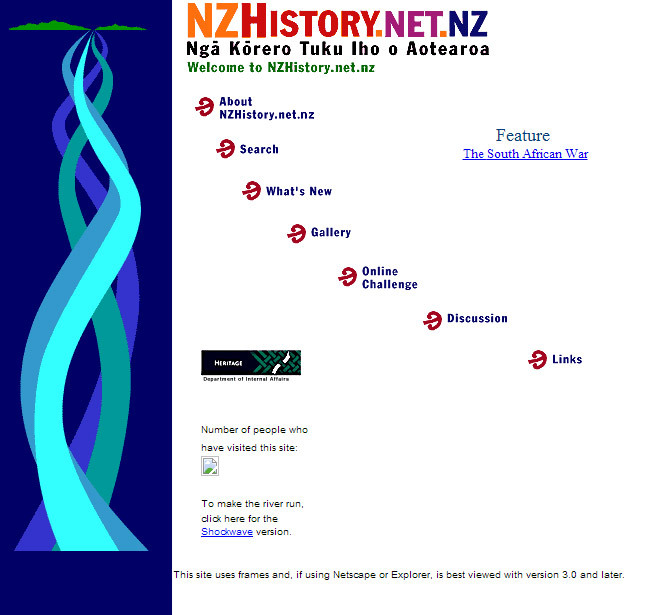 The pioneering online resource NZHistory was launched on 16 March 1999. This is a screenshot of the home page later that year. NZHistory was a key forerunner of Te Ara, and the two sites remain interconnected.